This is a CAS card, I had this piece of DP as a scrap but it was perfect for this card. 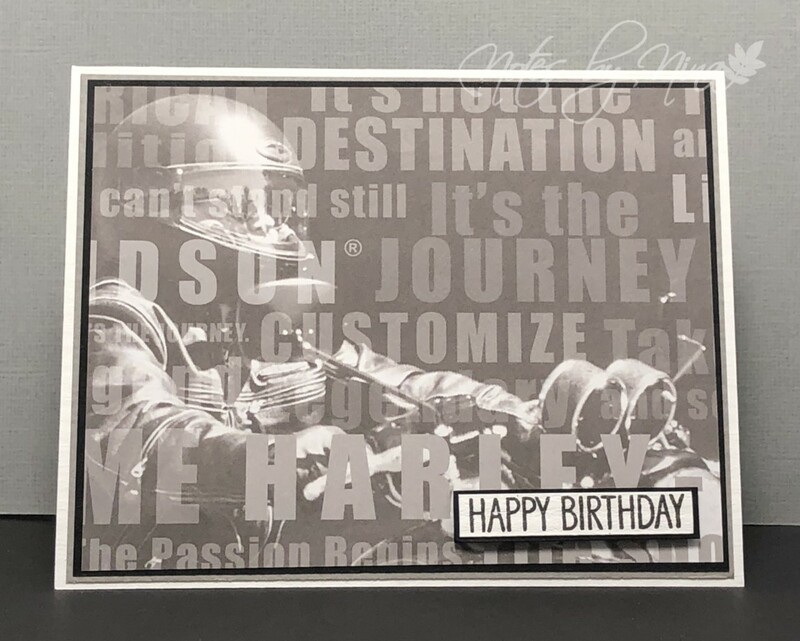 I added layers of grey and black cardstock and popped up the sentiment with foam tape. 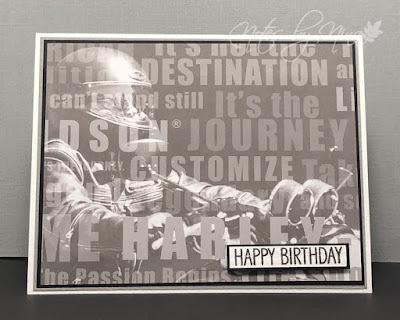 Supplies: White, grey and black cardstock, Designer Paper - Harley Davidson, Avery Elle - City Celebrations.